I was touched to receive a letter this week thanking the BOSS team for its recent donation of AUD $7,000 to the charity Smile Train, whose mission it is to build a sustainable solution to cleft care around the world. 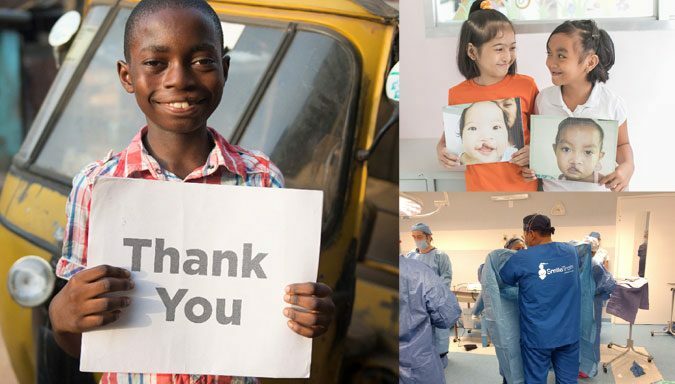 The truth is, the thanks is actually not only for BOSS, but for every dentist that has attended a BOSS course, because as part of its partnership with Smile Train, a portion of every BOSS course enrolment fee is donated to help deliver free corrective surgery for a child born with cleft lip and palate in a developing country. The letter stated that BOSS’s recent donation will help support nearly 20 cleft repair surgeries for children globally. As a number, that’s great – but as a fact it’s actually quite incredible. When I thought about how a life can be transformed by even a slight smile improvement, it was almost overwhelming to consider the vast difference that correcting a cleft could have on these underprivileged children’s lives. Smile Train’s ultimate goal is to give every child in the world born with a cleft the opportunity to live a full and productive life. By funding cleft repair surgeries and comprehensive cleft care, they can restore not only a child’s face, but also their fate, because, left untreated, these kids will face a lifetime of hurdles in terms of education (because of the way it affects speech), employment, and social acceptance. Smile Train can do for these children what their impoverished parents cannot. One of the things that most impresses me about Smile Train is its policy of training local medical professionals and providing funding for equipment and financial aid, so these partners can administer free cleft surgery and comprehensive cleft care every day. So far, over 2,100 medical professionals around the globe have been given training and resources. This is a safe and sustainable way of providing quality cleft treatment for a fraction of what it would cost a mission group. It’s a wonderful example of ‘teach a man to fish’. In the past 12 months, thanks to donations, Smile Train provided a free cleft surgery every five minutes. In fact, since its inception, it has given over a million children across more than 85 countries the opportunity to live healthy and productive lives by enabling them to eat, breathe and speak ‘normally’. 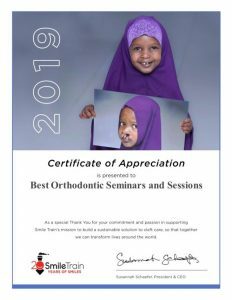 Through my work as an educator with BOSS and as a practicing orthodontist, my life is dedicated to helping more people to smile the smile they dream of, and supporting SmileTrain is a natural extension of this. I am proud to be able to share my knowledge with all of our BOSS course attendees, and for us to be able to help the world’s less fortunate at the same time. I would like to thank everyone who has attended a BOSS course, and to let you know that you have personally contributed to making these kids’ lives better. Now that’s definitely something to smile about! If you wish to make a donation, please send us a message with the amount you’d like to donate here.